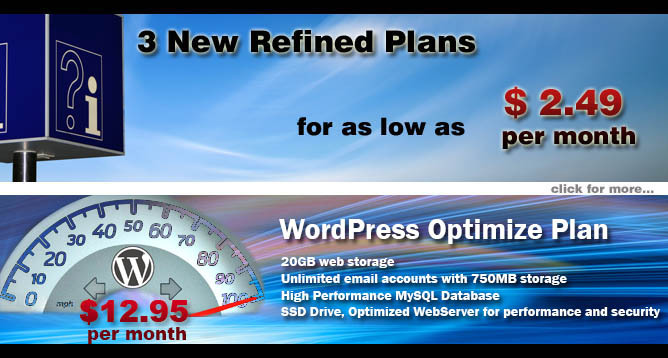 Double web storage for all web hosting plans when you signup for 18 months or more. Our web hosting service is the solution to all your website needs. See plans page for details. Now 100MB web storage; Free site builder; 100+ professional design themes; Guestbook, photo gallery. See plans page for details. Sign up to this web hosting package and start building your website with a few easy clicks. 250MB of web storage. Includes Store2Go eCommerce Solutions, unlimited email accounts and a web-based control panel. A great web hosting plan for your business. Mecca eHosting.ca offers the most affordable Dedicated Server.AMD Phenom 320 HDD. 2GB RAM. Mecca Internet Solutions, also known as Mecca ehosting.ca, is a Canadian-owned web hosting provider and a certified TuCows/OpenSRS domain registrar. Since our launch in June of 1999, we have been providing our clients with a wide range of web hosting services including: shared/virtual hosting,dedicated server hosting, a self-developed web-creation application (Site2Go), e-commerce (Store2Go), and domain name registration in all major extensions. "Take Spam out of Your Inbox" -- We recommend switching to Mozilla Thunderbird.